Concrete is designed for strength and durability. Unfortunately, this makes the break-up and removal of a concrete walkway, patio, slab, driveway, or other surface a labor-intensive task. 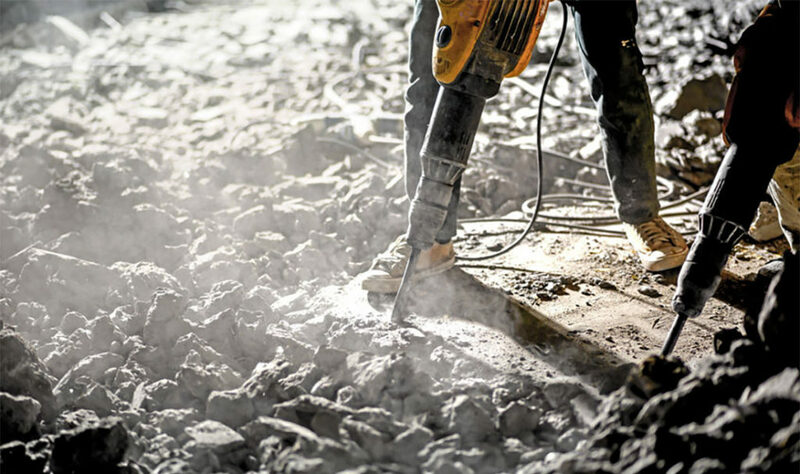 While a jackhammer and power tools can effectively break up the concrete, collecting, transporting, and legally disposing of the rubble can also be a time-consuming challenge. Thankfully, the professionals at Have Dumptruck, Will Travel are equipped with the expertise and experience to get your concrete removal job done quickly, conveniently, and cost-efficiently. Potential Injury. Concrete is heavy, and can produce sharp edges when broken into pieces. Injury often occurs due to improper lifting techniques when transporting heavy pieces. Additionally, proper eye protection, gloves, and other safety equipment should be used at all times during a concrete break-up and removal project. Property Damage. An untrained operator using a jackhammer can potentially cause damage to other parts of a home or property when removing concrete. Additionally, the process of moving heavy concrete chunks can cause unintended damage to landscaping, walkways, walls, and other personal property. Not to mention that most vehicles are not equipped to transport the amount of weight required for many concrete removal projects. Disposal Costs and Regulations. 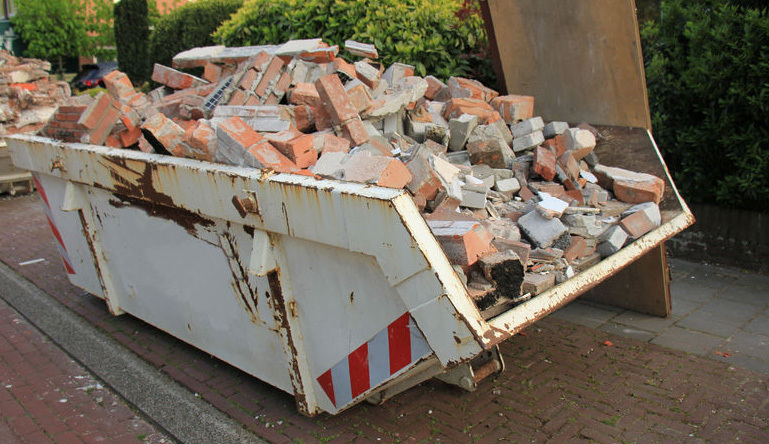 Many cities and counties have specific regulations related to “construction and demolition” material disposal. Failing to properly recycle or dispose of concrete materials could result in you running afoul of local ordinances or regulations. Also consider the landfill fees, fuel costs, and wear-and-tear on vehicles needed to transport concrete junk. Landfills are the destination of last resort for concrete materials. The San Francisco Bay Area has a number of concrete recycling facilities. At these facilities, concrete, cinder blocks, bricks, asphalt, and other properly sorted materials are crushed and re-purposed as various aggregate materials for resale. The resale products include gravel, drain rock, and crusher sand. Have Dump, Will Travel has the experience and knowledge of local recycling facilities to identify what local options are available for your concrete breakout and removal project to save time and money for all parties involved. Try our concrete removal services today — and finish your job at a low cost with minimal effort on your part. Call us or book an appointment online. When our professional and friendly crew arrives at your home or business to perform the work, just point your finger at the unwanted concrete area and watch it disappear!